Instinct is an American 60 minute scripted crime television series, which kicked off on March 18, 2018, on CBS and is broadcast every Sunday at 20:00. The show is currently in its 2nd season. 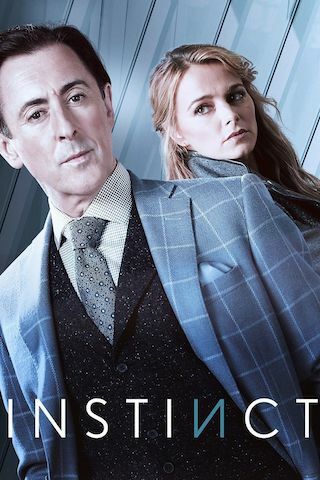 CBS has officially confirmed the renewal of Instinct for Season 3. The exact release date is yet to be announced so far. Sign up to track it down. Instinct follows a former CIA operative who is lured back to his old life when the NYPD needs his help to stop a serial killer. Dr. Dylan Reinhart is a gifted author and university professor living a quiet life teaching psychopathic behavior to packed classes of adoring students. But when tenacious top NYPD detective Lizzie Needham appeals to him to help her catch a serial murderer who is using Dylan's first book as a tutorial, Dylan is compelled by the case and comes out of retirement. Helping them is Julian Cousins, Dylan's invaluable CIA comrade who rivals Dylan in brilliance and wit, and can get top-secret dirt on anyone, anywhere, anytime. Lizzie's boss, Lt. Jasmine Gooden, is glad to see her best detective finally agree to work with someone on a case, since Lizzie has refused any partner since a tragic event one year ago. But as Dylan feels reenergized tapping into his old skill set, his husband, Andy, is concerned that Dylan's breaking their pact about putting away his cloak and dagger for good. Though Dylan and Lizzie initially clash, when it comes to catching killers, they realize they will make an ideal team if they both trust their instincts.